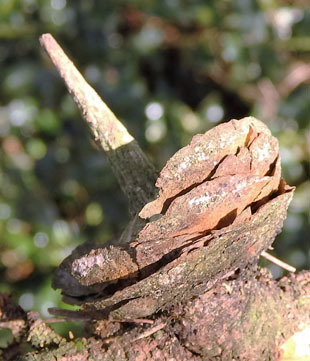 It is a neophyte which was introduced into the UK in the 1830s. 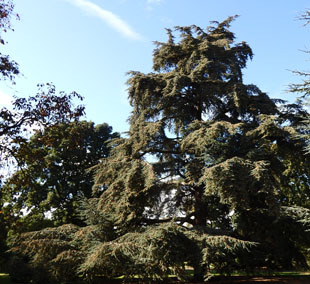 It is grown mainly estates, parks, large gardens and churchyards. It sometimes grows in the wild from seed. 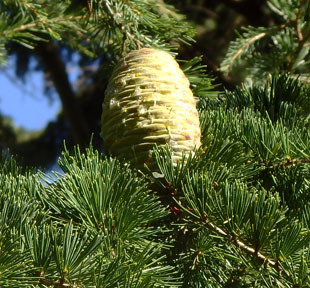 Deodar is an evergreen, conifer growing up to 35m. brown and fall from the tree. 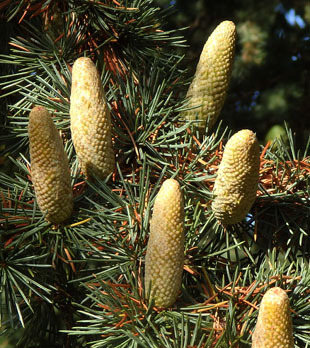 Female cones are produced on relatively few trees. 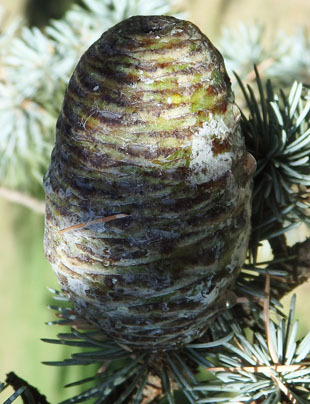 Adult cones are barrel-shaped roughly 9cm x 5-6cm. 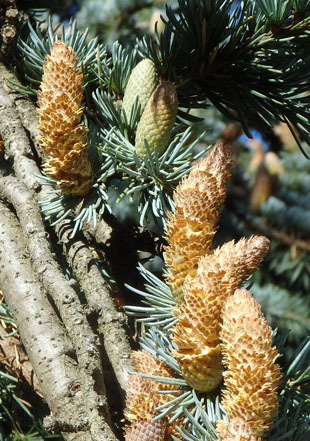 They are flat-topped and turn from green to brown. 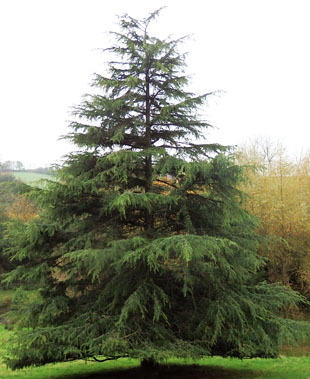 cedars found in the UK. 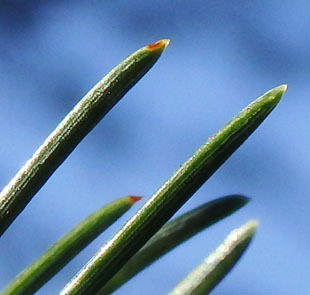 Needles are in whorls and each has a translucent pointed tip. 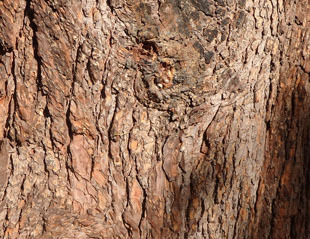 The bark is brown, fissured and cracked. 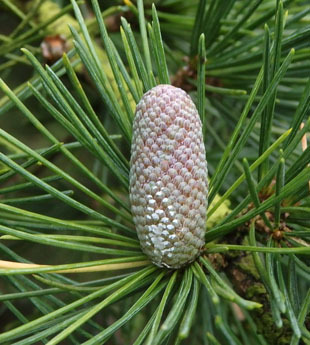 Young trees are conical in shape. 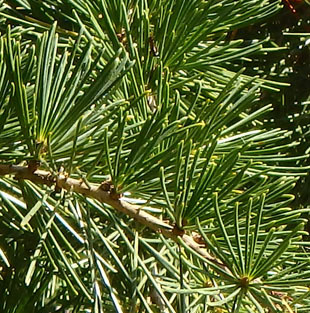 Older trees are more rounded with slightly drooping side branches.